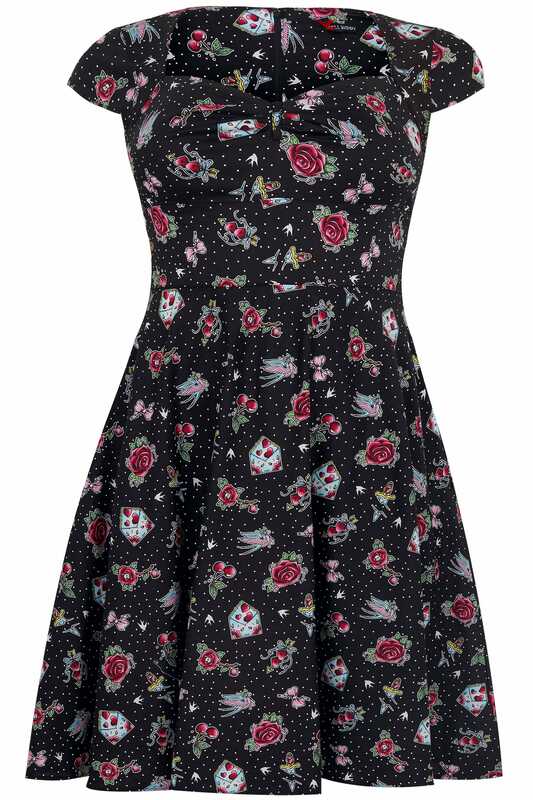 Give your look a 50s feel with this stylish HELL BUNNY dress. Featuring a flattering sweetheart neckline in a skater design, it's super flattering and perfect for flaunting your figure. Team with heels and a clutch to complete the look. 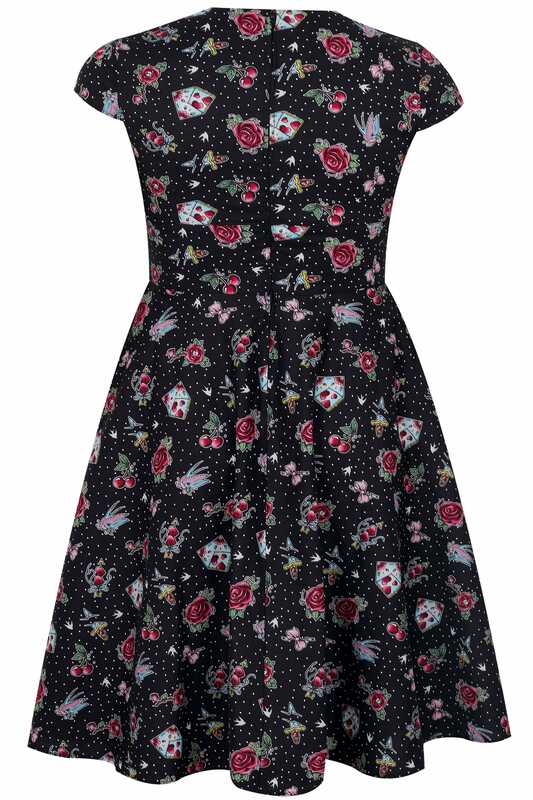 We love the vintage design!